We will start with a blank project. We name the new project for this tutorial CRP_Tutorial and create a new project. 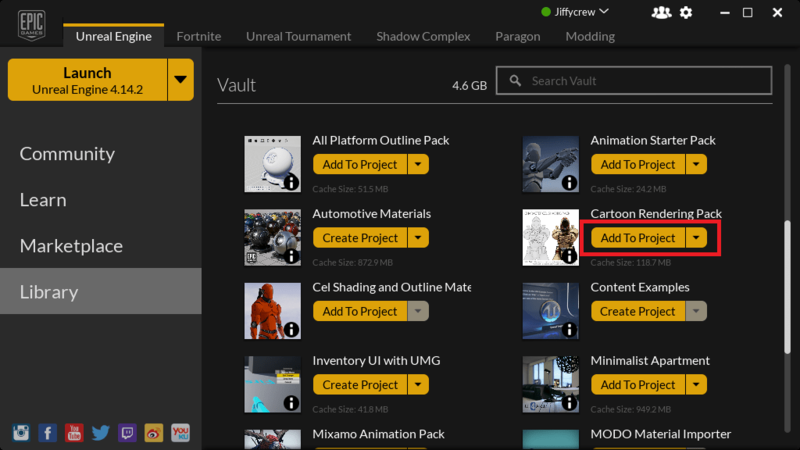 After creating the project, we go to the Epic Games Launcher, and add the Cartoon Rendering Pack to the project. 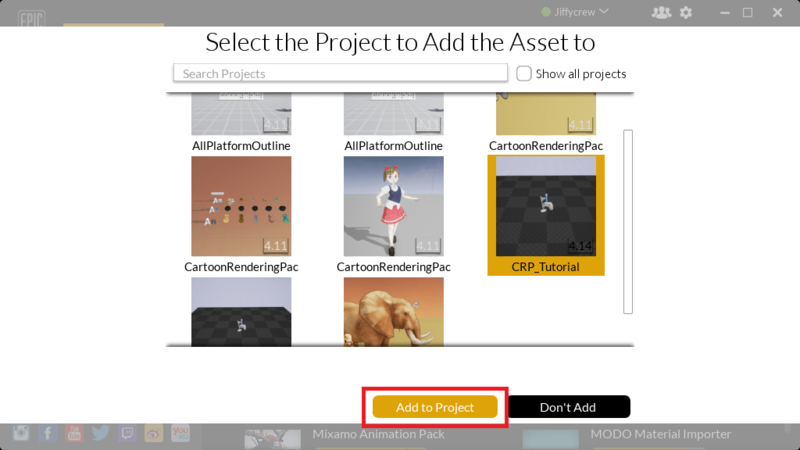 Now we can find the cartoon rendering pack folder in the Unreal Editor’s Content Browser of the CRP_Tutorial project. The Cartoon Rendering Pack main folder has three subfolders: CharacterCelShading, LineDrawing, and SceneDemo. The CharacterCelShading and LineDrawing folders are independent Functionality folders of the pack. Each of them has blueprints and materials, and simple example maps to demonstrate their own functionality. 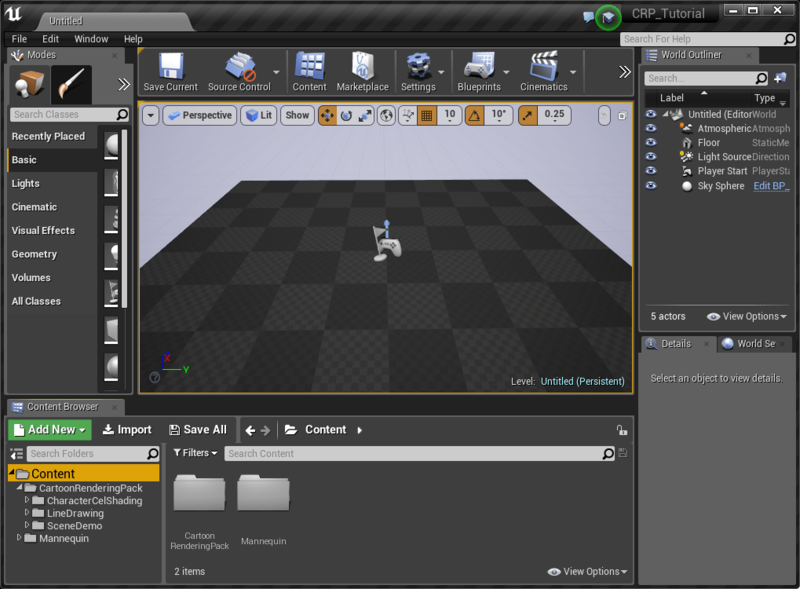 The SceneDemo folder has scene files, material instances, etc., that uses assets in both folders. Find more information in Pack Structure. In the next steps, we will add a character in our SceneDemo folder to a level, then apply cel shading body and hair materials to the character by using assets in CharacterCelShading folder, and finally, draw lines of the character by using assets in LineDrawing folder.